…til May is out. 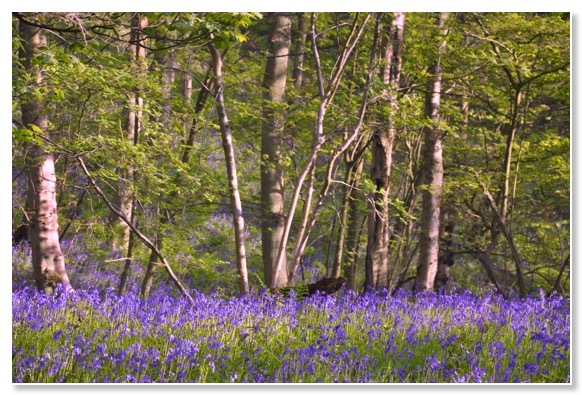 Some say the 'May' referred to is May blossom rather than the month. We have assumed that that is correct and have been casting clouts left, right and centre, as well as planting plants and enjoying nature burgeoning all around us. We have appreciated it all the more after such a chilly April. 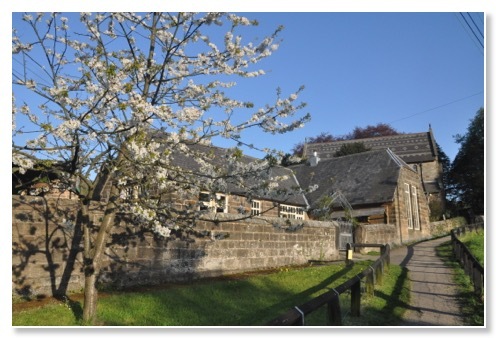 The cherry blossom outside the coffee shop (or cheery blossom as my spell check would have it) looks good this year, as do the bluebells in the woods behind us. 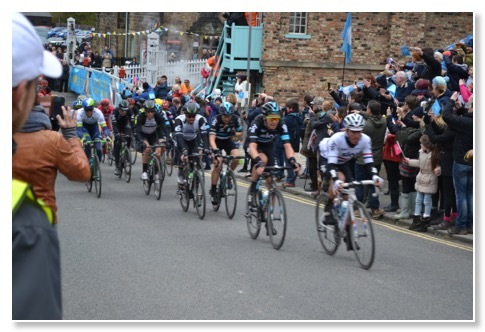 We had a very busy time when the Tour de Yorkshire cycle race came through the village on the first of the month. Lots of people came to watch the cyclists whizz over the level crossing and work hard on the ascent up to the top of the moor. 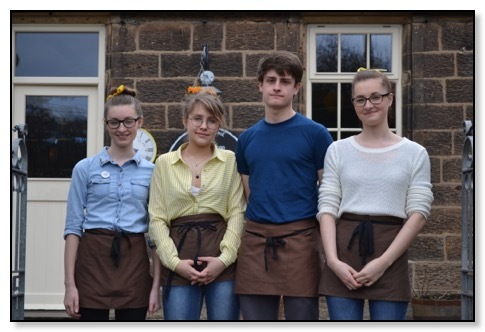 We had people queuing out of the door after the race went through, but managed with our excellent team, here seen in their TdY colours. 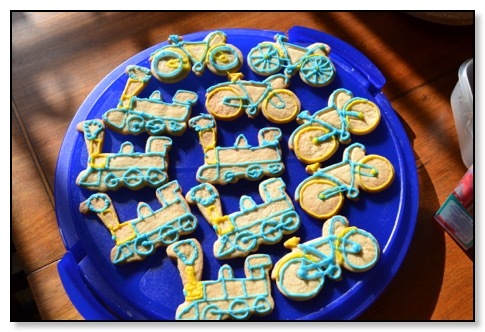 Emily's TdY themed bicycle and train biscuits went down a treat, decorated by our son Jack and daughter-in-law Amy. Thanks to Amy, for taking photos while we were up to our necks in lattes and milkshakes. Bill's savoury tarts are becoming more and more popular. 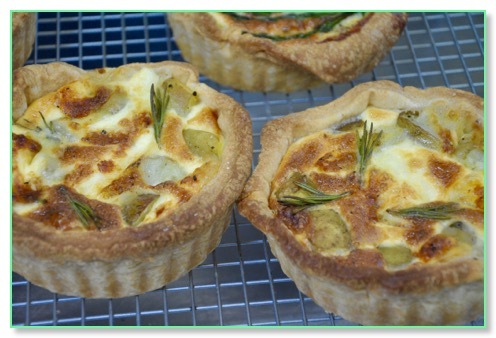 A newly introduced flavour 'Rosemary potato and mozzarella' is garnering good reviews.